On May 9, Dr Dre allegedly confirmed selling Beats to Apple for the premium price of $3.2 billion during his “first billionaire in hip-hop” video. Not known for making public purchases of companies, this is an abnormal move for Apple. If rumor be true, this will be it’s largest buyout ever, having never spent more than $400 million on a company. Given iTunes Radio offering a similar music streaming service that Beats Music provides and selling Beats headphones on the iTunes store, what will Apple get out of this deal? Apple has been a leader in music playback since the release of the first generation iPod back in 2001. For years, iTunes has been the top online music store, registering 1 billion songs sold by 2006. Growing frustration over the limitations iTunes has allowed for other music streaming services to gain traction in the market. Services like Pandora, Spotify and Beats Music are still growing, despite iTunes launching its free iTunes Radio service to directly compete with them. 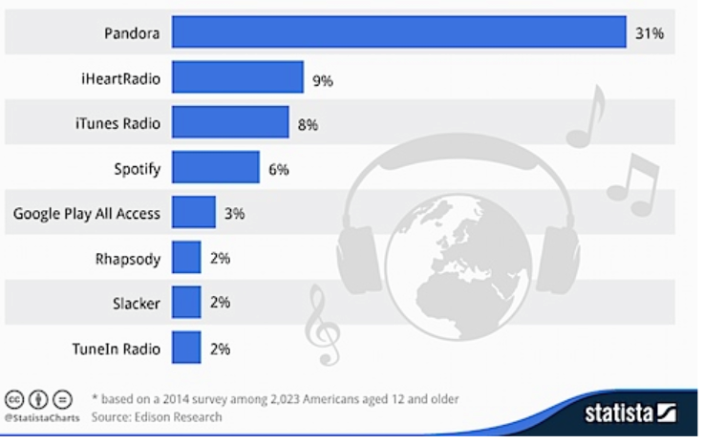 Despite acquiring 20 million users within the first month of its release, Pandora still holds 31% market share to iTunes Radios’ 8%. With such a recognizable name in the headphone game, Beats Music has experienced rapid growth since its launch in January 2014. 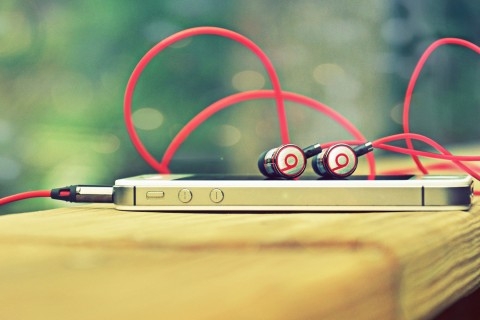 In a mere four months since its launch, Beats Music has added nearly 50,000 individual users and another 62,000 family accounts that allow up to five users. This type of growth to match the marketability of the Beats brand is an intriguing prospect for a company like Apple. This growth is due in part to the Beats name, as well as subscription deals with AT&T offering the family plan for $14.99 a month, but the user interface of Beats Music is much more attractive and easier to find new music than what iTunes Radio has to offer. While I do prefer the UI of Beats Music to iTunes radio, I do not believe this to be a main proponent to the purchase. Beats Music is built on MOG service, which was purchased back in 2012. One of the highlights of MOG is their commitment to providing music in the 320-kilobit format, but given the ability of Apple, this is something they could achieve on their own without paying the steep price of $3.2 billion. One compelling reason for the purchase could come down to the royalties that Beats Music pays for each song playback. According to reports, each song play costs Beats Music $0.000126, which is significantly less than the reported $0.006-0.0084 that Spotify pays. Apple, on the other hand, pays $0.13 per play. If Apple can retain the royalty fees that Beats Music plays, that could pay dividends for it. Amongst the rumors for iOS 8, there has been talk of Apple prepping for high-definition audio playback. Currently, iOS 7 can’t handle audio playback for 24-bit audio files and the purchase of Beats make this possibility seem even more plausible. With the acquisition of Beats, Apple could start developing HD audio playback using custom, Beats made headphones that utilize the lightning port instead of the 3.5mm headphone jack. This is particularly interesting as the 3.5mm headphone jack is old technology and with the rise of Bluetooth headphones, it makes sense create headphones that use the same port one charges from. Of course, this is all speculation as the acquisition isn’t official yet and Apple hasn’t made any comments regarding it. What do you guys think? This is a particularly interesting topic as Apple has never made a purchase like this before. If you have any other ideas or theories as to why Apple would purchase Beats, please leave some comments, as I’d love to read them and continue this conversation. ← iPhone 6 Camera Rumors – Super Zoom and Improved Low Light Performance?